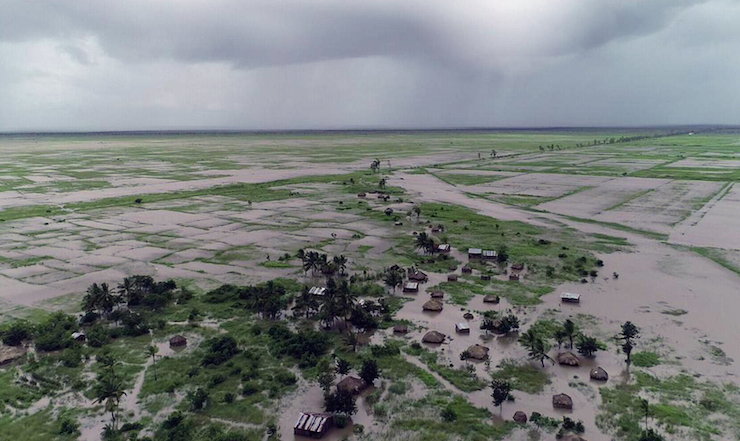 After more than three weeks since cyclone Idai hit southern Africa, Mozambique, Zimbabwe and Malawi still live in extreme emergency conditions. According to Caristas in Mozambique, the official number of deaths in Mozambique alone has risen to 520. The first reception centres for the homeless has given hospitality to 110 thousand people. It is estimated that there are more than 800 victims in the three countries, but there are fears that the number of deaths may increase. An exact figure will be obtained only when the water decreases and the bodies are recovered. The cyclone has left behind a trail of destruction. Most of the damage was suffered in Mozambique, where 90% of the city of Beira was destroyed. In many districts of Beira, people are forced to live in the putrid water that surrounds their homes. Many houses do not have a roof and people are exposed to the rain. Local sources pointed out: “There are fears of cholera and typhoid epidemics (the recorded cases of cholera are already 270). While acute forms of diarrhoea and intestinal pain are already on the agenda. There was also a sharp increase in malaria due to the fact that thousands of people sleep without the protection of their homes and without mosquito nets “. In Zimbabwe, the Rusitu valley of Chimanimani has been the most affected, where the confluence of the Rusitu and Hanoi rivers is located. Both rivers flooded. The inhabitants of the villages of Nyamatanda in Mozambique report of having seen bodies floating in the water. Hundreds of bodies are abandoned in the streets and thousands are left in the forests. Meanwhile, the Catholic Church has launched campaigns in various Countries in the world to facilitate the donation and delivery of basic necessities. “We want to ensure our communion and fraternal especially to those in the areas most affected by the cyclone, to the communities of Beira and Muxungué, in Mozambique, and the communities of Balaka, and Lirangwe, in Malawi. We are sure that other Comboni circumscriptions will also collaborate generously in the reconstruction of the lives of these populations”.